Philips HUE is a domestic line of Wi-Fi-enabled color changing LED lamps. It was first introduced in October 2012 and has been updated both in 2015 and 2016, so one can say that it is a mature product. Of all the alternatives, and despite its price (15/20 € pro bulb), I think that HUE is the best smart lightning system. 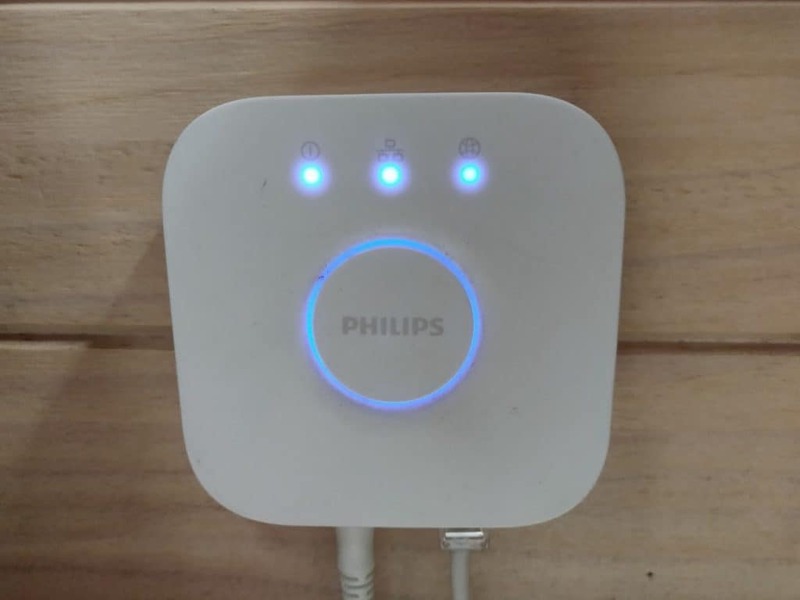 In this tutorial I will explain how to integrate HUE lights in your own domotic system/web server using acceding Philip’s API through cURL. 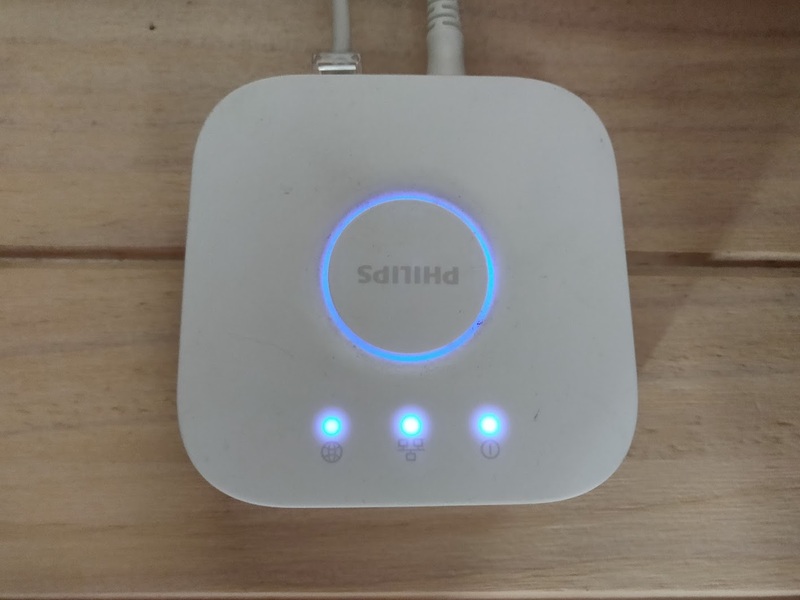 The Hue lighting system is based on a central node, the Hue Bridge, which is connected to the router through a LAN cable. The Bridge communicates with the bulbs using Zigbee Light Link standard (and Zigbee 3.0, a recent update released in 2018). The Bridge implements a very good documented REST API (access requires login) though port 80. The HUE can be configured to be accessible from outside the local LAN, however due to previous security issues with HUE products, I decided to disable this functionality. By this way, only devices inside the local network will be able to control my home lights. To tell the true, in order to control your HUE lights, the Bridge is not 100% needed. You can access directly the bulbs sending RF Zigbee signals from a Raspberry Pi compatible module. However I think that the (approximately) 50 € that the Bridge costs is a reasonable price that will avoid headaches trying to hack the only partially documented protocol used internally by the Bridge. Note: This should work if your Bridge version is 2.0 (the square one). Copy and paste the response received in a JSON Parser to read it in a more comfortable way. You should obtain a numbered list of lights. If you have previously named your bulbs (using Android or iPhone HUE App), you will find this information in the list of attributes returned. Identify now each light with the number assigned by the Bridge. You will have to use this number as the bulb’s identifier. Once you know your light’s ID, let’s see how to manipulate them. The simplest scenario is to turn on a light. To do so, just send the following web request. If everything works fine you should receive a response containing a confirmation of the arguments passed in and, of course, the light will turn on. Depending on the type of bulb, you can also control other parameters. You can find which are configurable by looking at the state attribute of the light. For instance, you can control only bright and color temperature in A19 White bulbs, while you can also define the saturation and the exact color of the light in the color ambience models. Defining the color of a light bulb is a little bit more complicated than just turning it on. The color point of a light has lots of ways of being quantified. HUE accepts a couple of them, being the most complete the use of x/y coordinates of the color in the CIE color space. 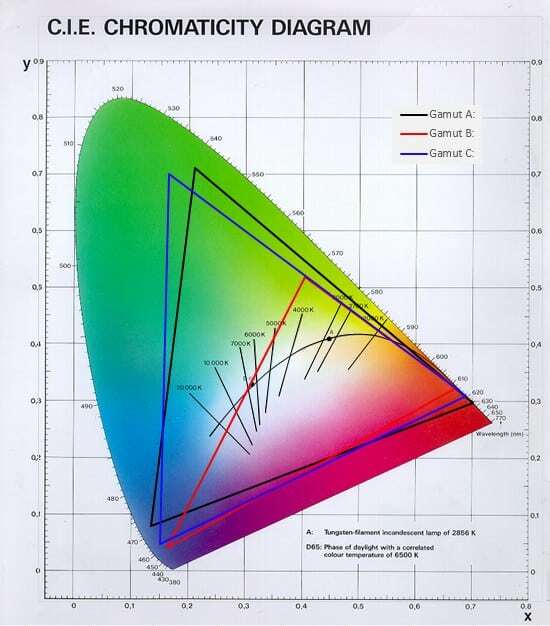 The following image shows the chromaticity diagram of CIE color space. The three triangles (gamut A, B and C) outline the colours which hue can address depending on the bulb used. Have a look at this link to find out your light’s gamut. Finally, the server will contain a PHP file that, using HUE’s API, modifies the bulb status. A couple of functions that will convert the color from hexadecimal format to x/y coordinates in the CIE colour space can be found in the code. * Get XY from Red, Blue, Green value. * @param int $color Color value, number between 0 and 255. * Converts Hex to RGB. * @param string $hex Hex string. * @return array Array of color values. * Get XY Point from Hex. * @return array XY point. * Get XY Point from RGB. * @param int $red Integer between 0 and 255. * @param int $green Integer between 0 and 255. * @param int $blue Integer between 0 and 255. * @return array Array of xy coordinates.